Today’s post was written by Julia White, general manager of the Office Marketing team. “Amaze your customers!” is how Bob Stutz opened his recent blog announcing the general availability of the spring 2015 release of Microsoft Dynamics CRM Online. I share Bob’s enthusiasm since many people—especially those involved in sales—will be amazed at how they can save time and sell more through seamless integration of Dynamics CRM Online with Office 365. For the Office team, reinventing productivity is our mantra and we’re excited to collaborate with our Dynamics CRM teammates to help people become more productive, especially when they’re on the go. And aren’t salespeople always on the go? 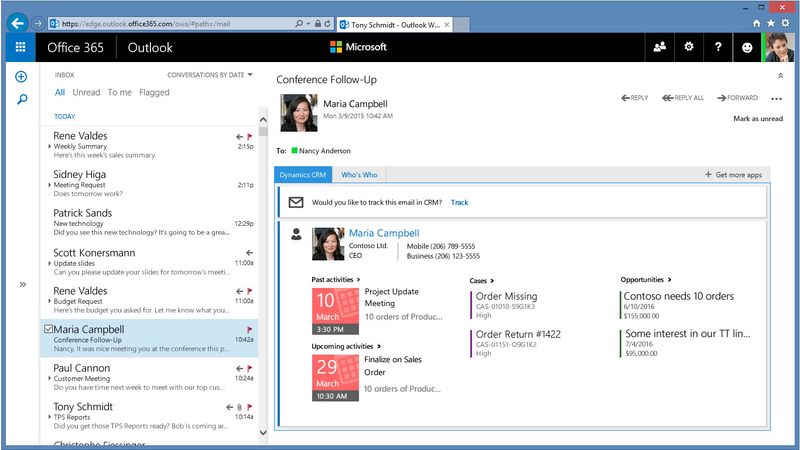 Email integration with Dynamics CRM—Use the new CRM App for Outlook to track incoming email and view contextual Dynamics CRM information about the people sending you email, including sales activities, cases and opportunities. This add-in also makes it easy for users to create new CRM records directly from Outlook. Email folder tracking—This is a new and intuitive way of tracking incoming email activities on any device that supports Exchange. Now you can track your email directly from virtually any device. Sharing notes and insights—Salespeople can share information more easily with OneNote embedded inside Dynamics CRM. You can create and view notes containing text, photos, voice, spreadsheets—even handwritten notes on a napkin—all within the context of the account, opportunity or any other record. With OneNote embedded in Dynamics CRM, account information is automatically linked with the CRM Online record. Immersive Excel experience—Now you can use Microsoft Excel Online to do a quick analysis right from Dynamics CRM Online, eliminating the frustration, time and effort required to switch between applications. Salespeople can view their data in familiar Excel spreadsheets, perform what-if analyses and upload changes with one click, all while maintaining the sales workflow. Self-service analytics—You can effectively analyze customer data using Microsoft Dynamics CRM integrated with Power BI. Using the new out-of-the-box connector and templates for Power BI, organizations can analyze sales performance, drive pipeline goals, prepare forecasts and efficiently manage account team activities. 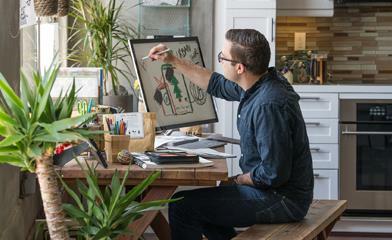 You’ll find more highlights about the spring 2015 Release of Microsoft Dynamics CRM here. If you’re a current Dynamics CRM customer, start using these new features to immediately enhance your productivity. Otherwise, take advantage of our free 30-day trial to experience full Microsoft Dynamics CRM functionality. We’re delighted to work with our Dynamics counterparts to meld the best of CRM Online with Office 365—and we’re even more excited to reinvent productivity for our customers involved in sales, service or marketing activities. Amazing, indeed!